If you go camping just as a couple but are fed up with low level tents leaving you trying to get dressed on your knees - then the Jamet Geodia is probably for you! 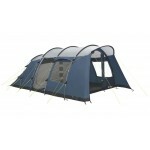 The Jamet Geodia fills an important but rarely filled niche in the market - a 2-berth tent with full stand-up head height. 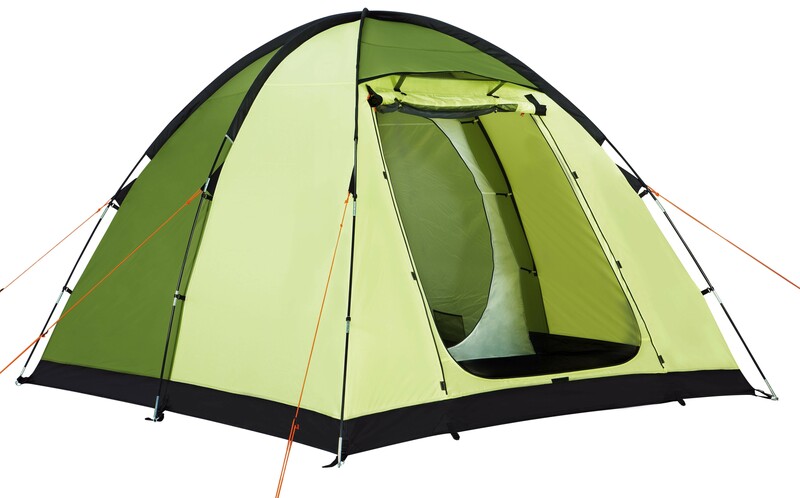 This tent features a simple 3-fibreglass pole construction; the cross-over poles making for a strong, rigid construction. The tent has a fully sewn-in groundsheet creating a sealed environment preventing drafts, bugs and any moisture entering the tent. 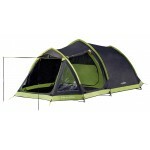 The 2-berth inner tent sits atop the sewn-in groundsheet. 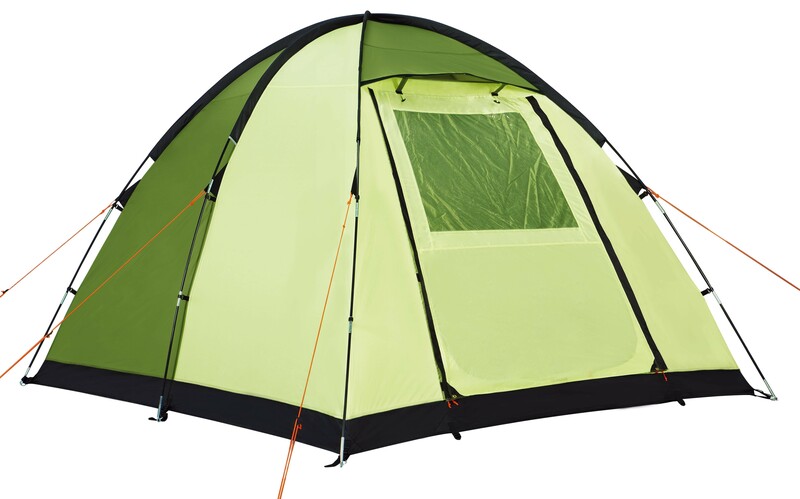 It is made using 190T breathable polyester with an 'O' shaped door with half mesh mosquito netting and its own polyethylene groundsheet. 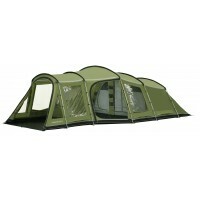 At the front of the tent there is a very handy living area measuring 150x245cm and roll-up panel entrance door which has a mosquito net double door and a PVC clear window. The specifications of the Geodia include 3 x 11mm fibreglass poles, 190T/5 PU coated polyester flysheet with 3000 mm hydrostatic head waterproof protection, openings for ventilation, guy ropes, reinforced Oxford polyester pole sleeves, wall storage pockets in inner tent, steel pegs, carry bag.